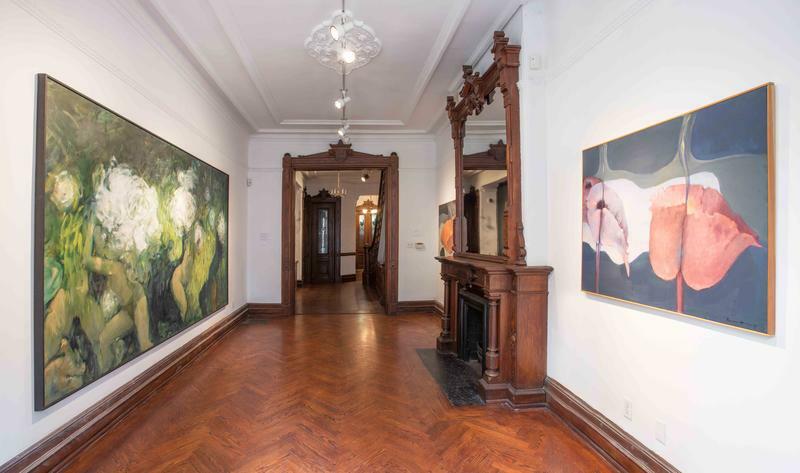 Alison Jacques and Marianne Boesky are pleased to co-present Murmurs, a solo exhibition of works by Dorothea Tanning curated in the distinctive architecture of Marianne Boesky Gallery at 118 E. 64th Street. 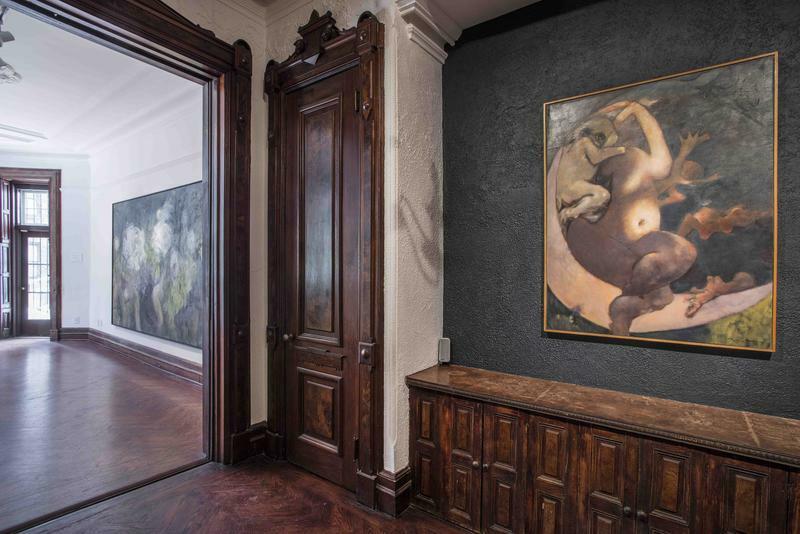 This exhibition was organized in collaboration with the Estate of Dorothea Tanning and its beneficiary, the Destina Foundation. The Dorothea Tanning Foundation is also acknowledged for its dedicated efforts to preserve the artist’s legacy. We are especially grateful to J. D. McClatchy, the eminent poet and literary critic and a dear friend of Tanning’s who has written a text for the exhibition. His appreciation of Tanning’s reading of poetry provides invaluable insight into the work of the artist, whose entire oeuvre may be seen as poetry. The paintings, watercolors, drawings, collages and objects included range from 1960 – 2005, and were chosen from the artist’s personal collection. This selection offers a view of some of the “mythical echoes” found in Tanning’s work. Like ancient myths and legends, these works depict figures in moments of euphoria, despair, love, seduction, jealousy, conflict, longing, delirium and reverie. Tanning first achieved recognition as a Surrealist painter in New York in the 1940’s, and later in Paris in the 1950’s. During the 1960’s, her paintings transitioned from dream-like scenes and portraits of the subconscious into abstract and fractured imagery that in some respects delved more deeply into a Surrealist approach. “I was reassured in the belief that there are realities that have nothing to do with logic; and that diving into the subconscious—I call it surconscious—is the way to find them”. Murmurs, a pivotal work for which the show is named, was painted in 1976, at the midpoint of her career and the year in which her husband, the artist Max Ernst, died. As she explained, this work depicts the artist cradled within a space she created for her own personal mythologies. 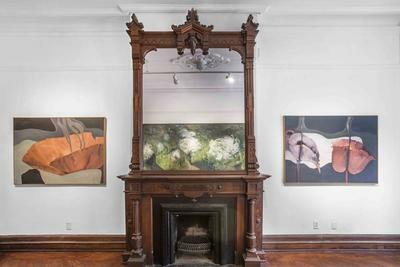 Not long after Ernst’s death, she left France and returned to New York, where she worked through the late 1970’s and 80’s, resuming a more figural representation. Canvases like Hail, Delirium! (1979), Reality (1973-83), Heartless (1980), and the monumental On Avalon (1987), demonstrate her lifelong efforts to express archetypal emotions and experiences.